A little over a year after its glitch-free IPO, LinkedIn is receiving kudos from its investors. The company is growing and making money and the value of its shares hasn’t suffered an embarrassingly pronounced decline à la Facebook. 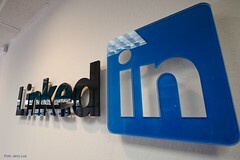 The year that’s gone by has seen LinkedIn’s earnings grow by 89 percent and the release of the first LinkedIn iPad app. Its shares are trading above $100. With reason to be in especially good spirits, LinkedIn is now going after a more polished look. Last month, it was LinkedIn’s homepage that got done over. This month, it’s LinkedIn’s user profile pages that are getting the treatment. LinkedIn users, watch out for more updates this fall and winter. The current crop of changes has moved up the profile summary section and enlarged the user profile picture and name.